A Bargain Pack of all our beautifully restored vintage makeup tutorial books – from the flapper age of the 1920’s, the 1930’s Hollywood look, the Femme fatale pin-ups of the 1940’s, the golden glamour of the 1950’s, right up to mod 1960’s. Genuine advice for women by beauty experts of the period. A trip on a time machine, back to gentler, more feminine days. And the advice and tips are fabulous. So treat your self, best friend or loved one to a pleasant surprise. PDF e-book – Can be read on your smart phone, tablet or laptop! For more details of what you get, see below ! 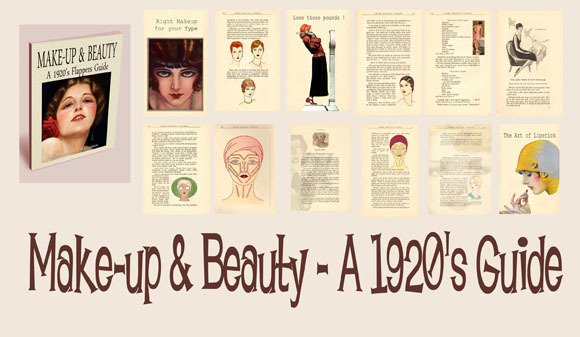 Make-Up & Beauty – A 1920’s Guide. Learn the look, styles and demeanor of a 1920’s woman as read by ladies of that era. What Make-up Type are you ? How to be a popular girl. Right make-up for your color. The 1920s philosophy of beauty. 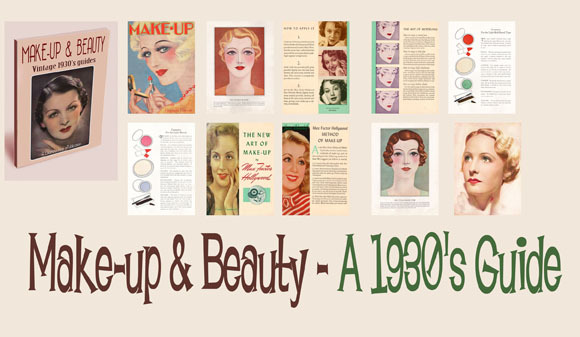 Make-up & Beauty – 1930’s Guides. The Glamorous Hollywood era – how they achieved the looks. Make-up by Virginia Vincent 1932. The purpose of this book is to help you in making up your face, observing contours and colors of the early 1930s period. 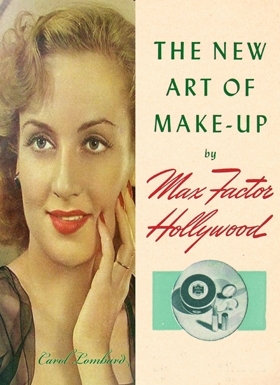 The New Art of make-up by Max factor. Learn tips from the master, as taught to Hollywood actresses such as Carole Lombard and Claudette Colbert. 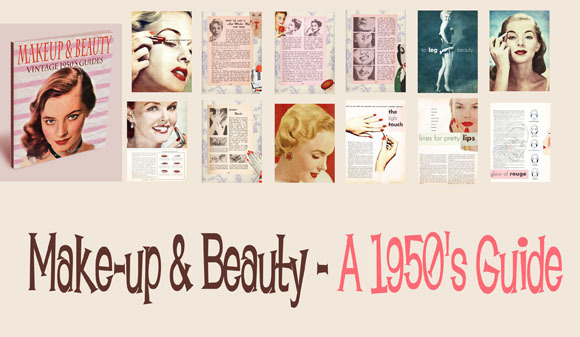 Make-up & Beauty – A 1940’s Guide. The Westmore brothers definitive guide to Hollywood make-up styles of the 1940’s. A rare out of print book, lovingly restored with full color illustrations. What is Beauty ? 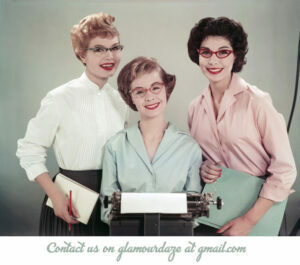 What is Glamour ? Make-up and glamour for your skin type. PLUS a brand new addition – 1940’s Beauty & Charm. This is a rare gem. 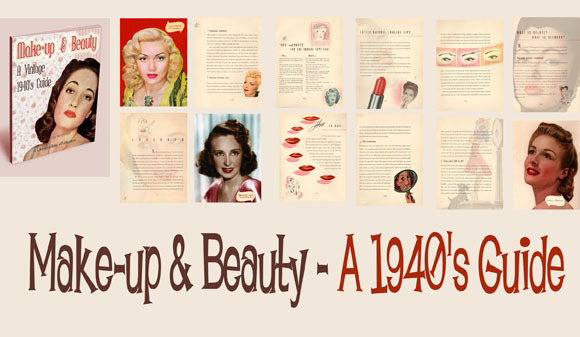 A textbook to beauty for the 1940s woman by a leading beauty and fitness expert. Your Type – Womanly, Aristocratic, Exotic, Outdoor girl, Gamine, Sophisticate. Clothing advice – your type, colors . 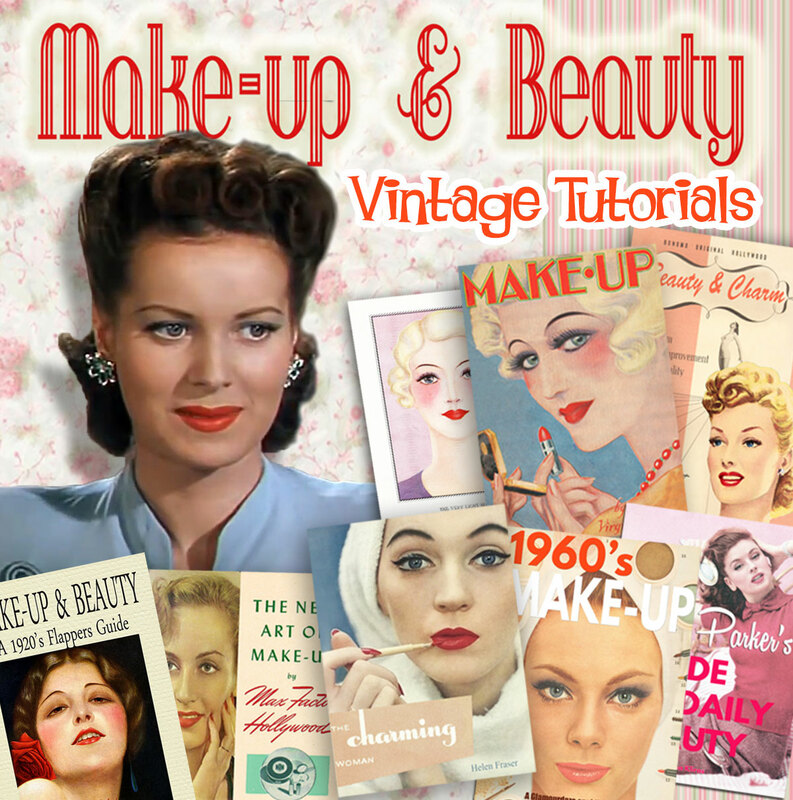 Two beautifully restored and illustrated make-up and beauty guides from the 1950’s. Original advice as taught to women of this glamorous era. PLUS a brand new addition: The Charming Woman, an excellent and beautifully illustrated beauty book for the 1950s woman, edited by Helen Frazer, with contributions from top beauty gurus ( including the great Helena Rubinstein ). 1960’s Make-up & Beauty Guides. DOWNLOAD INSTANTLY – direct to your smartphone, tablet or desktop. Two beautifully restored make-up manuals from the turn of the swinging 1960s. Beautiful and inspiring. PDF e-book – Can be read on smart phones / tablets / desktops! 1960’s Make-up – Illustrated 1963 Tutorial. Arguably the world’s first “Supermodel” Suzy Parker was an American model and Vogue magazine’s “face of the post war American woman”. Her career as a model reached its height in the 1950s, appearing regularly on the cover of dozens of the most elite fashion and beauty magazines as well as in advertisements and several screen roles. Get all five decades ! Treat your feminine heart ! You can also purchase each of these decades individually. Simply scroll back to our menu to find the links to each shopping page. 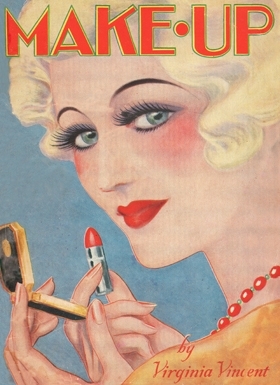 Beautiful vintage makeup and beauty tutorials for women from the 1920s, 1930s, 1940s, and 1950s. Illustrated books, tips and style looks. From Flapper to Pin-up. don’t hesitate to contact us and we’ll send you a fresh link. Payment via PayPal / Credit card / Debit card. On payment you’ll be sent to a secure Download Page. You will also receive an email with the Download Link. Supply an Email address during payment process. You can also click RETURN TO RADIO IMAGE – which will take you to a unique Download Page. 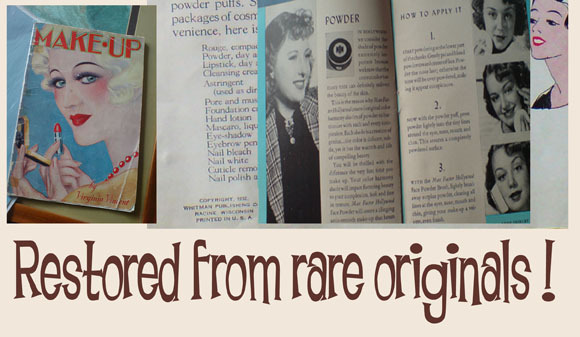 Use iBooks to read your Vintage Makeup book on your iPhone, iPad, and iPod touch ! Read on Kindle or any Smartphone device. with Adobe Reader App ! For a PC owner – Right click on the link and download to your desktop or to a folder of your choice. For a Mac owner – Hold down the ctrl key before you click your mouse button. Save the target file to your desktop or to a folder of your choice. If you are using an Apple Mac- make sure you download the Adobe Reader for Macs. Navigate to the downloaded file and open it from within adobe reader. Choose View > Navigation Panels > Show Navigation Panel. All guides presented here have been lovingly restored from old manuals and magazine articles believed to be out of copyright control. After careful research were determined to have had no renewals filed by original copyright holders prior to 1964. Under US Copyright and Fair Use Law are believed to be in the Public Domain.